Failed again! The two pine trees collected last year again failed to survive the winter. I am not exactly sure why but it must have something to do with the roots and soil combination. 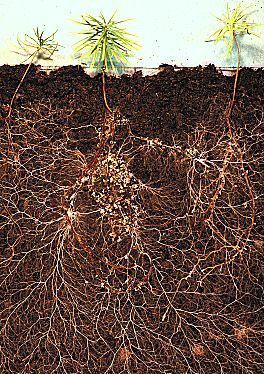 We all read how important retaining some of the existing soil is important because of mycorrhizal fungi that are needed by pine trees to extract nutrients from the soil. I kept quite much of the old soil but maybe the problem the problem was that I kept too much old soil and not enough mycorrhizal fungi. My excessive watering program was maybe too much for the roots when the soil was heavy and remained wet for long periods. Pines need a dryer soil mix especially if you want to water on a daily basis. So the problem exists how to have a dry soil mix but retain the mycorrhizal fungi. Not easy but one-way around this problem is to add mycorrhizal fungi to your own soil mix. This is possible because mycorrhizal fungi are harvested and sold in packets to use. After many years scouring the Internet looking at different websites related to bonsai I came across many different products and one of these products were packets containing mycorrhizal fungi. In my next attempt of collecting a pine tree I plan to use this harvested mycorrhizal fungi in my own soil mix. I will remove most of the old soil and only add the tips of any cut roots back into the soil. Mycorrhizal fungi grow from the tips of the roots so these should also contain the important mycorrhizal fungi. At first I thought that mycorrhizal fungi were needed only for pine trees but further reading and research about this product I know understand that mycorrhizal fungi exists in over 90% of all plants in the world. Mycorrhizal fungi already exists in the ground and it can take nature up to 5 years for mycorrhizal fungi to find its’ way to young or newly planted plants. This number of years is simply too long to establish a replanted tree but with a sprinkle of mycorrhizal fungi it is possible to have them growing from the roots within 2-4 weeks. 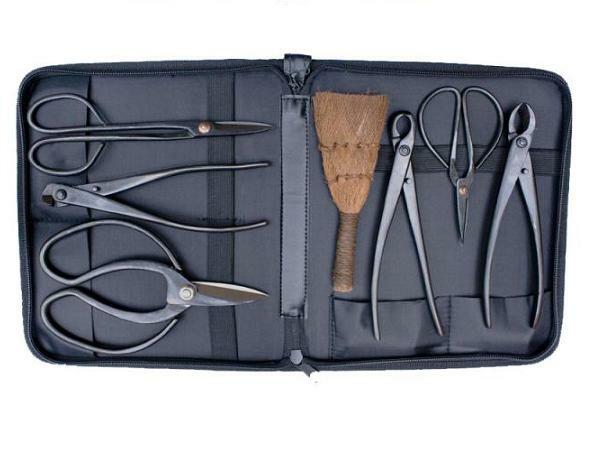 I have already purchased this product in readiness for when I again go collecting pines in the autumn. 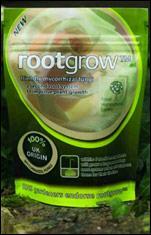 The product I have purchased is manufactured in the UK and is called rootgrow™. Because of the benefits that mycorrhizal fungi has to nearly all plants I have also decided to purchase this product so that I can sell it through my Internet shop. Time will tell how well the product works but all I can say at the moment is that it comes with many recommendations and references and is fully endorsed by the Royal Horticultural Society (RHS) in the UK which must mean something.